Instant Videos are videos which are automatically generated from RSS feeds. RSS feeds are blog rolls that are updated whenever a new post is published on a blog or publication. 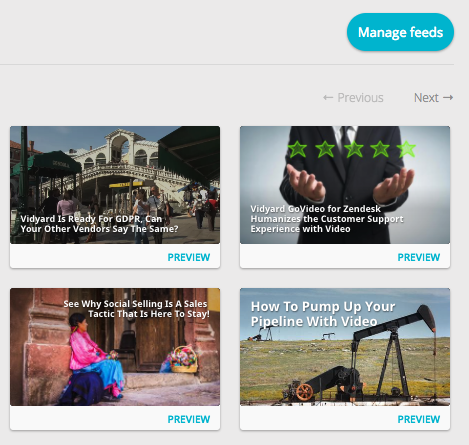 Lumen5 will only create Instant Videos for RSS feeds which have been added to your account. You can add, enable, or disable RSS feeds from your Instant Videos page by clicking on the Manage Feeds button.